Iranian LPG loadings were showing initial signs of recovery in January 2019, following a near halt in November 2018 and a muted program in December in the wake of the re-imposition of US sanctions on November 4, shipping and trade sources said this week. 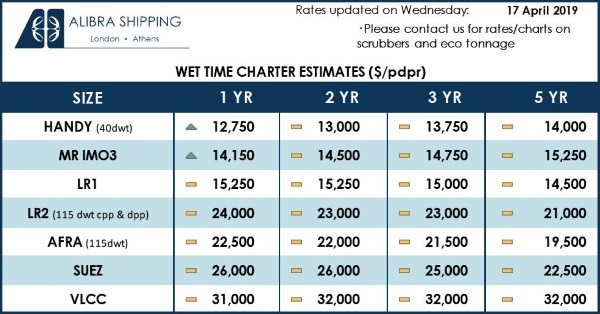 Around eight to nine cargoes ranging from 4,000 mt to 44,000 mt each, totaling some 336,000 mt, were lifted last month, up from 101,000 mt in five shipments loaded in December, the sources said. The January-lifting program showed that Iranian suppliers were striving to normalize their LPG exports to Asia — especially China — which had ranged between 376,000 mt and a peak of 568,000 mt per month between January and October last year, before the new US sanctions kicked in. Trade sources said that to woo buyers, Iranian LPG cargoes are being offered at steep double-digit discounts to the prevailing Middle Eastern prices. Ship-to-ship, or STS, transfers also took place in the Persian Gulf and Southeast Asian waters, they added. “The CFR price for Iran cargoes are sold cheaper than FOB AG prices, so Chinese buyers are keen on that,” a North Asian trade source said, signaling that freight costs could have been absorbed, or that some Chinese buyers are using owned vessels. 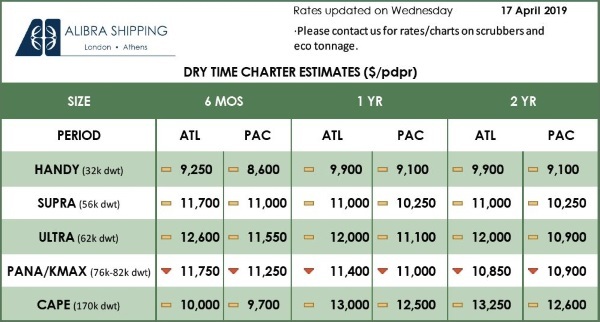 Current VLGC freight rates on the key Persian Gulf-Japan route are near nine-month lows of around $24/mt, while FOB Middle East prices were as high as mid-double digit premiums to the Saudi Aramco Contract Prices. The main lifter for the January program is Asian trading firm Pacific Petrochemical, which is moving five 44,000 mt cargoes, mainly to China. The company is carrying a cargo from Persian Gulf Petrochemical Industry Commercial Co., or PGPICC, comprising 33,000 mt propane and 11,000 mt butane aboard the Sea Hermes — formerly Everrich 8. It is due to arrive at a Chinese port on February 18, according to S&P Global Platts ship tracking software, cFlow. Pacific Petrochemical is ferrying an evenly split cargo lifted from Iran Gas Commercial Co., or IGCC, aboard the Sea Gloria — formerly Gas Al Mutlaa — which is scheduled to arrive in Raoping, in eastern Guangdong province, on February 11, cFlow showed. Last month, Sea Gloria had been at the Sungai Linggi STS area off Malaysia’s west coast, according to cFlow. Pacific Petrochemical is also taking two cargoes from IGCC comprising 33,000 mt propane and 11,000 mt butane each aboard the VLGCs Sea Dolphin 1 and Sea Dolphin 2, also slated for Chinese ports, sources said. Sea Dolphin 2, formerly called Summit Terra was in the Sungai Linggi STS area during late December, cFlow shows. Iranian trading firm Triliance is slated to lift from IGCC a cargo comprising 33,000 propane and 11,000 mt butane aboard the Global Scorpio for an unknown destination, sources said. The VLGC Beatris Gas, formerly Sisouli Prem, was carrying an evenly split cargo from IGCC for an unknown lifter or destination, sources said. The vessel is currently in Indonesia’s Nipah STS region, near Singapore, cFlow shows. The VLGC Portofino Gas, formerly the Indonesian flagged NS Challenger, lifted a 24,000 mt evenly split cargo from PGPICC for an Asian destination, according to cFlow. The 6,505 cu m vessel Armita lifted a 4,000 mt evenly split parcel at Assaluyeh from IGCC on January 24 and is due to arrive in Colombo, Sri Lanka, around February 10, cFlow shows. Among vessels that sailed from Assaluyeh in December are the VLGCs Gas Courage, LPG Capricorn, Sea Gloria and the smaller vessel Maria III, which carried a 13,000 mt evenly split cargo from IGCC and arrived at Pakistan’s Port Qasim on January 2, cFlow showed. Before that, butane had been at a discount to propane since October 11, largely on growing US butane shipments to Asia and abundant Iranian supply totaling up to 4.64 million mt in the first ten months before the latest sanctions, according to shipping fixtures. The premium of butane to propane has since narrowed to around $16-$18/mt for the March CP swaps this week.